Found 20 file extension associations related to Train Simulator and 19 file formats developed specifically for use with Train Simulator. Train Simulator will model almost all of the world’s railways using sophisticated processing techniques and real-world track data. Powerful tools will let you build upon this framework by customizing, extending, creating, and sharing your own content with other virtual railroading enthusiasts. Detailed 3-D cabs, locomotives, and rolling stock with real-world physics, functioning signals and switches, passenger/freight loading and unloading, dynamic weather, highly-detailed DirectX 10 graphics, and 5.1 Surround Sound all provide a highly realistic experience. Highly-detailed routes in North America and Europe combine with innovative terrain modeling, custom and automatically-generated scenery objects. 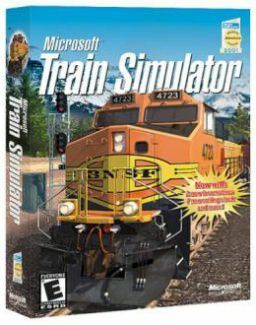 If you need more information please contact the developers of Train Simulator (Microsoft Corporation), or check out their product website.